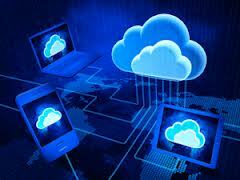 Cloud computing is starting a revolution in applications. If your perspective on cloud computing is that it’s like your established computing mode, just outsourced to an external provider, you’re wrong – and you face a painful transition period during which your assumptions and practices will be wrenched and dislocated beyond all recognition. Today’s applications are completely different. It’s impossible to predict load; the very makeup of the user population is unknown, since it includes not only employees (traditionally the only significant user population) but also an unknown number of customers, partners and interested parties – that is, floating populations of bystanders directed to your application due to its novelty or notoriety. By the way, that unknown user population won’t be accessing your application with a limited number of IT-approved devices. It will be using an ever-increasing number of computing devices (PCs, tablets, and smartphones) and, in the future, objects barely recognizable as “computing devices” – think smartwatches and single-application specialized hardware, not to mention special-purpose devices such as medical monitoring machines. The back end of your application won’t run in the stable confines of a dedicated infrastructure, either. First off, it probably won’t be your infrastructure; it will come from an external provider such as Amazon Web Services, Google or Microsoft. It certainly won’t be running on dedicated hardware; the practices and economics of cloud providers depend upon shared infrastructure that fluidly shifts from one customer’s workload to another’s. The configuration of your application’s infrastructure definitely won’t be static, either. It will grow and shrink as application loads vary. This will be due in large part to the way you’re charged for the infrastructure resources you use. In traditional application design, you forecast how much infrastructure you need, then purchase that amount as a capital expenditure. While it’s difficult to really predict how much resource you’ll need to run an application, the amortized cost of the resource is consistent: It’s the inexorable depreciation of the infrastructure, which never varies whether the resources are 100 percent loaded or runs without a bit of load. Cloud applications, on the other hand, impose a cost for all resource consumption. Running resources that aren’t performing any useful work impose a cost despite their waste. Your infrastructure won’t be static. I’ve heard some people pooh-pooh the need for highly variable public cloud environments, based on the fact that most IT applications run with predictable loads and therefore can leverage static infrastructure environments. Don’t use this breezy assumption as a crutch for avoiding the hard work of architecting applications for cloud computing. The fact is, traditional infrastructure is inflexible and extremely difficult to modify – and impossible to modify quickly. Therefore, traditional IT environments perform as Procrustean beds: Fixed environments in which applications are “right-sized” through stretching or lopping without adjusting the size of the bed to fit the need. That approach won’t be acceptable for next-generation applications. Once it’s obvious that these artificial limitations are no longer necessary, developers will insist that whatever infrastructure is used must support flexibility and elasticity. Critically, once developers internalize the assumption that infrastructure is easily available and malleable, they’ll discover new application needs that require cloud infrastructure environments – so that once-tenable assumption about the highly stable nature of application infrastructure requirements will be outmoded. Separate code and state. It’s tempting use sticky state settings in the load balancer to direct all session interactions to a single server. However, that can cause unbalanced server loads. Worse, if a server crashes, user state can be lost; that can be disastrous. Move state into cache. Cache tiers keep session data in fast RAM, obviating the need for time-consuming disk access and improving session data retrieval, thereby improving overall application performance. Cache solutions typically incorporate redundant infrastructure, protecting against data loss by resource failure. It’s not uncommon to have two or more caching tiers in a highly dynamic app. It’s important that we, as an industry, internalize the implications associated with the new developer expectations. The history of IT is that new platforms enable new applications types that rapidly become the vast preponderance of every company’s total application portfolio. Oh, and by the way, that portfolio explodes in size, since every new platform represents at least an order of magnitude cost/benefit improvement. I believe we’re working in the most exciting time ever for IT. Ten years from now, the landscape of what we call “IT” will look so different from today that we’ll scarcely recognize it. The key is to recognize that all value of the field of IT is associated with applications. The critical task is to optimize our environments, our processes and our thinking around that reality. Confused by SaaS, PaaS and IaaS? How Cloud Computing Will Dominate Emerging MarketsCloud computing: Powerful tool for cyberattacks?